The International Percussion Institute (IPI) is a 501 (c)(3) non-profit organization intent on providing educational opportunities and culturally immersive experiences in the Arts, Humanities, and Health and Wellness. Through participation in seminars, performances, and educational outreach, our goal is to offer life-changing experiences which will support and transform students as well as encourage interdisciplinary inquiry, cultural awareness, and advocacy for the arts. 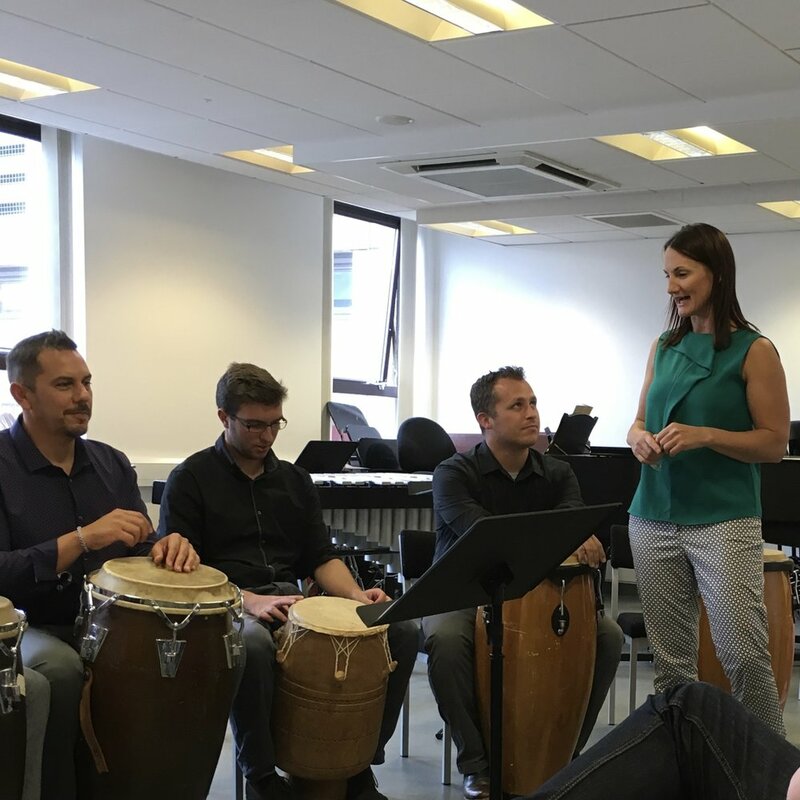 The International Percussion Institute in Aberdeen, Scotland engages percussionists in a broad range of activities with our institute faculty including: clinics, masterclasses, performances, lessons, and culturally immersive activities during the five-day seminar. Institute participants have the opportunity to perform solo and chamber works on the IPI showcase concert while in residence. 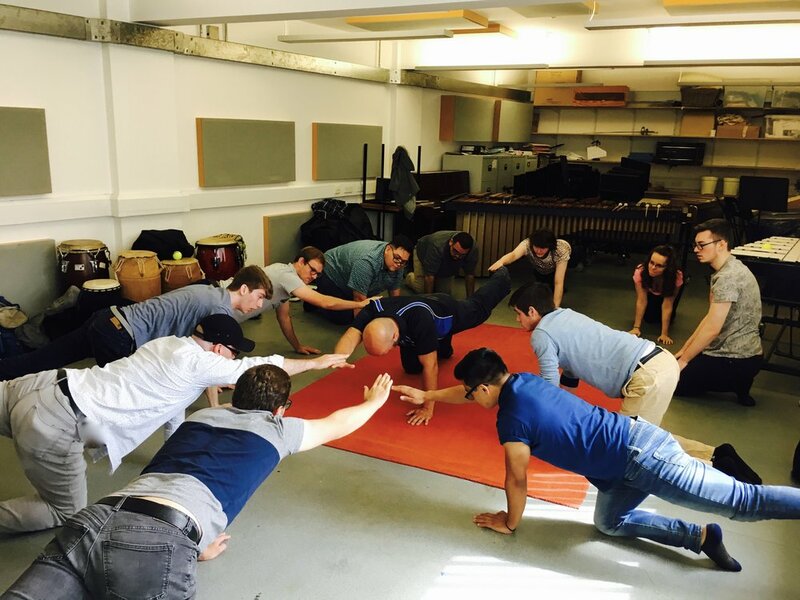 Classes focus on a variety of percussion-centric topics ranging from performance, pedagogy, repertoire, artistic process, composition, and health and wellness all instructed by our renown institute faculty. The 2019 Institute is themed "The Sound of Silence" and will explore repertoire, research, and artistic activities which engage or manipulate silence as part of their musical dialogue. IPI offers three payment options pay in full upon submitting application or an installment plan. Please select the option that best suits your needs. GBP and Euro conversion rates will be updated on bi-monthly basis to reflect the current market exchange. If applicable, please include the name of the School you currently attend. A historical perspective on the advent of percussion literature and its evolution throughout the 20th century. Composers to be discussed include Luigi Russolo, Igor Stravinsky, Edgar Varese, George Antheil, John Cage, Karlheinz Stockhausen, Morton Feldman, Helmut Lachenmann, Lou Harrison, William Kraft, Steve Reich, Joseph Schwantner, Eric Ewazen, Christopher Rouse, Dave Hollinden, Minoru Miki, Toru Takemitsu, and more. An exploration into performance practice applications in both classical and contemporary percussion ranging from ensemble repertoire, solo marimba, and multi-percussion installations. 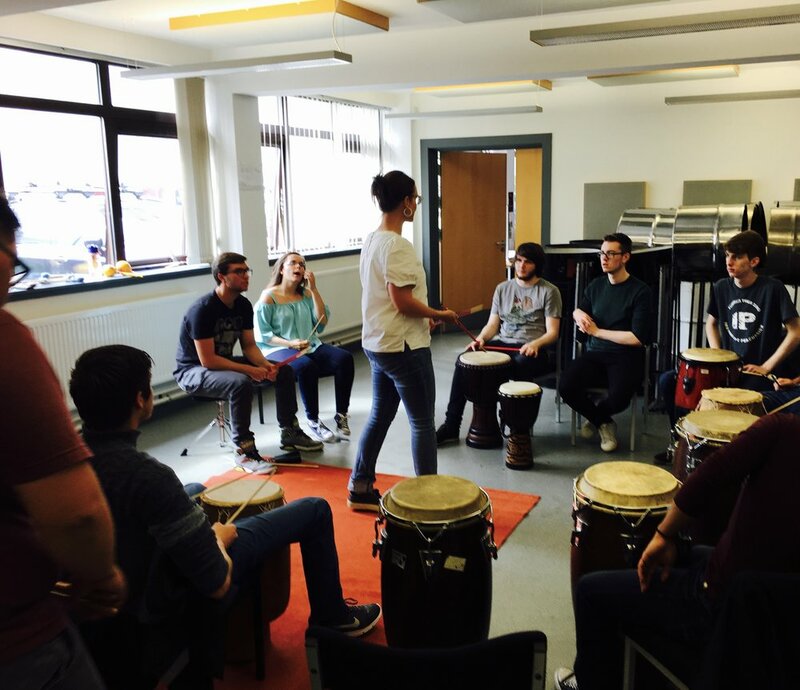 A study in West African Drumming and its influence on communal and sustainable development. A survey of memory strategies and organizational tools to develop more efficient and effective practicing. 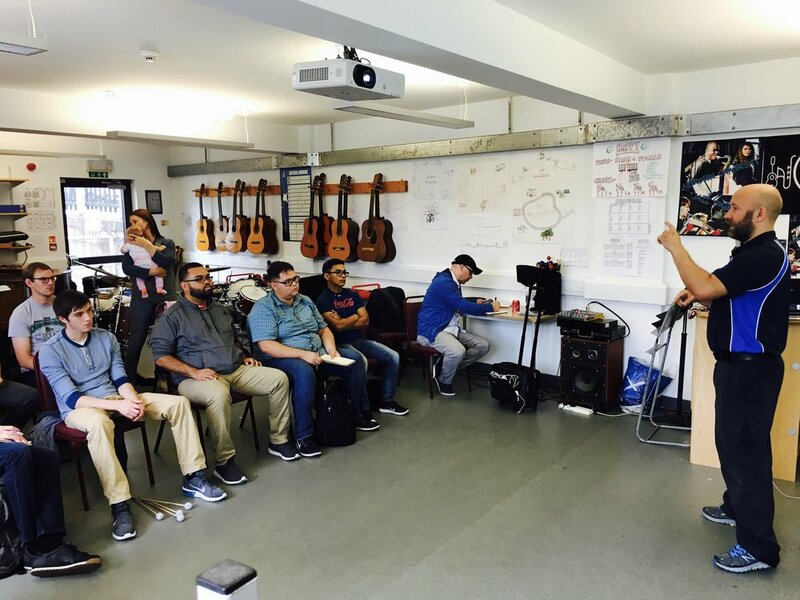 Specific tools for mallet practice, snare drum practice, groove/timekeeping as well as memorization are discussed. A music-first exploration of timpani performance concepts driven by the cultural context in which composers wrote and timpanists performed. 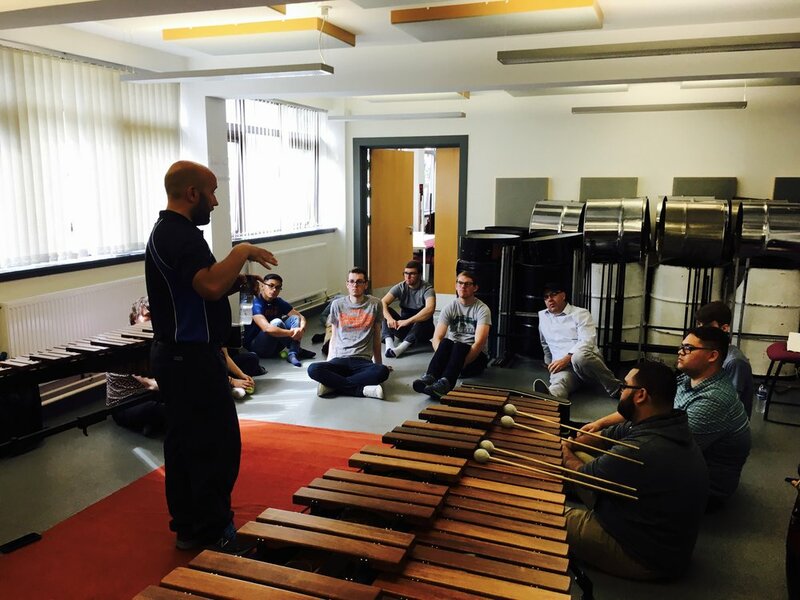 Central topics include tone, color, articulation, timbre and how to use these ideas to implement a wide palette of techniques in performance. Exploring cognitive strategies ranging from centering, mindfulness, visualization, and mapping pathways to proprioception and kinesthetic awareness. Should you have any questions regarding our 2019 Seminar or Marimba Competition, please feel free to contact us by filling out the form below.